​This was a great little gathering of the year 6 leavers from a small primary school in Nroth Shropshire. One of the parents had put a marquee in their garden, put lots of little games out, food and drink, and also invited us to bring the bubbles! 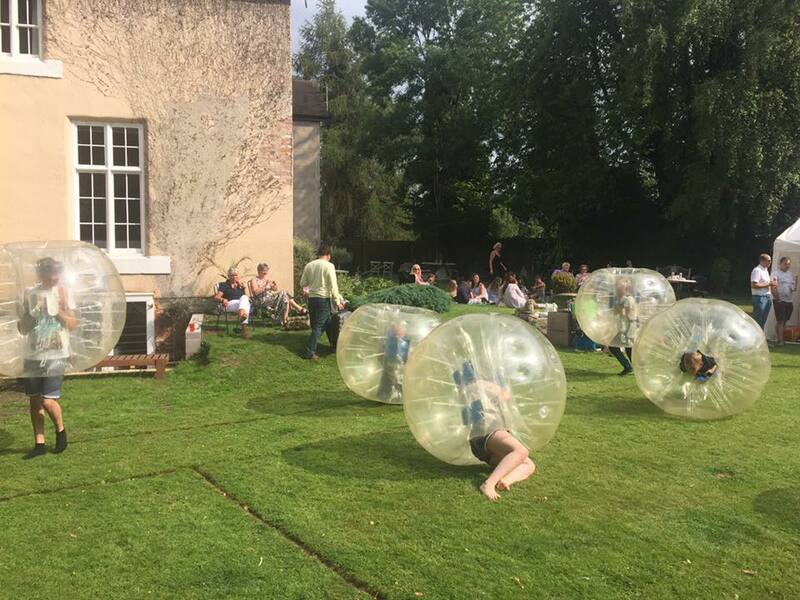 ​It was quite a relaxed afternoon (actually, bubble football is always pretty crazy to tbe fair, but relatively speaking!) As the children dropped in and out of bubbles taking it in turns whilst having a break and doing other bits and bobs that had been set out in the garden. What a great way for the little ones to spend their last afternoon together before moving to big school! 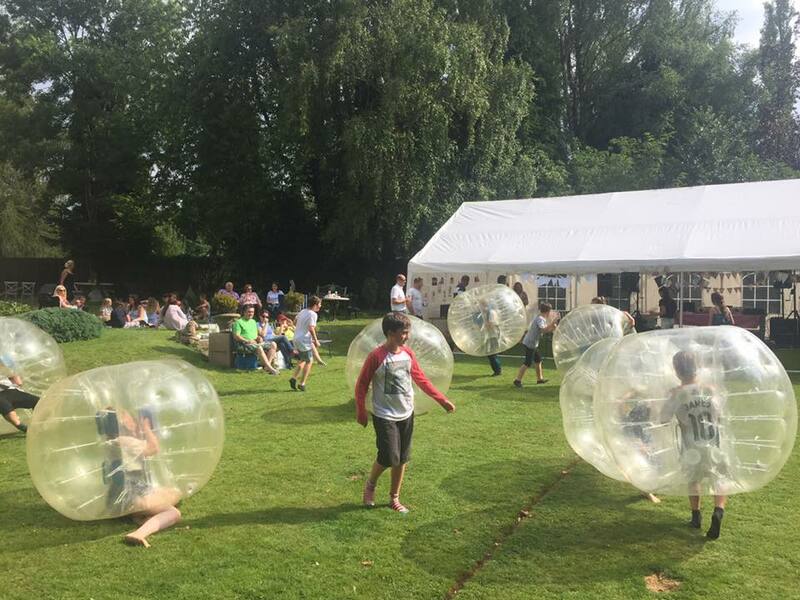 ​We have been to Ellesmere College a number of times, this time to deliver a fast and furious set of bubble football games for the elder pupils of one of their school houses. Played either outside, in the Summer (its warm) or indoors in the sports hall (it's also warm), the quick intense games work well as the players are able to cool down, take on water and cheer on other class mates in-between their games. ​The Ellesmere pupils like to devise their teams, fixtures and other "tournament details" beforehand to have a winner at the end of the 2 hours. This isn't necessary, but the tournament angle is cracking fun! They also put some great music on when in the sports hall. Then it's all topped off with a BBQ or Pizza night afterwards. Nice touch!